Yes, you heard right: Casey’s Taco Bubble Pizza… yum! When my friend Autumn text messaged me on Monday night and told me she was going here, I was instantly drooling. 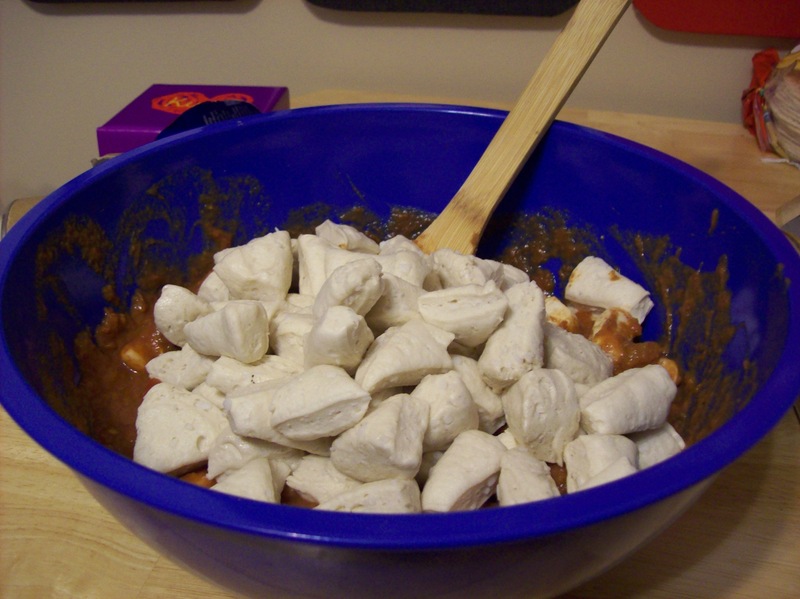 Now, about a year ago, I made a Pilsbury recipe for Mexican Bubble Pizza. It was alright, but let me tell you: This was amazing! I started with the base of any great taco meat…. Half a large onion, a small green pepper, and one jalapeno all chopped up fine. I let them soften in the skillet, then added a pound of ground beef. Once that was browned, I added a packet of taco seasoning, and a half a cup of water, and let it simmer while I worked on this (and forgot to take a picture of my taco meat 🙂 )… The sauce and the bubbles! I used a 24 oz jar of salsa and a cup of ‘refried’ beans. 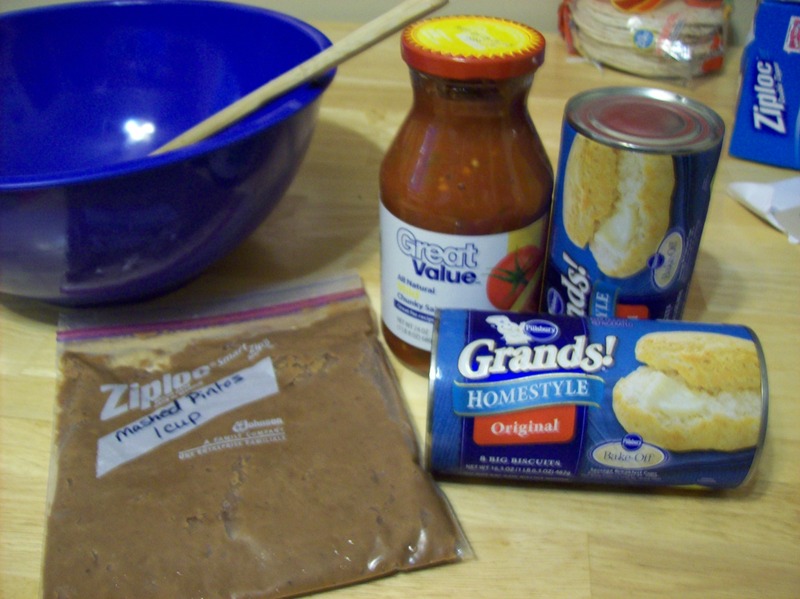 Now, m pizza was very saucy, you could have only added two cups of the salsa and been okay… I didn’t read the ounces until after i used it 🙂 I had intended to use two cups. After mixing up the sauce, I used my handy kitchen shears to cut two tubes of grands biscuits into eighths, and mixed it all up! Now, at this point I should have taken more pics, but I didn’t. Space case? That would be me! My days and nights are all turned around as we’re still waiting for life to regain a sense of normal… that and this was my third cooking project of the day. After mixing up the saucy bubbles 🙂 , you add a cup of cheddar cheese, and your cooked taco meat. 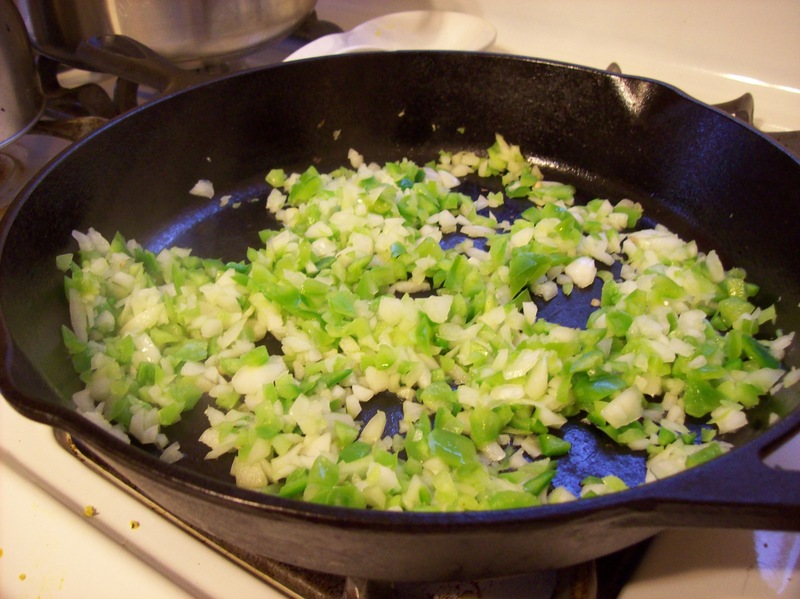 Dump into a greased 9×13 pan. Bake at 400 degrees for 20 minutes, top with more cheese, and bake for another 20 minutes. Plate up, and top with lettuce, tomato, and a dollup of sour cream…. Saute onion and peppers. Add Beef, and brown. Sprinkle with taco seasoning, and add water. Simmer on low til thickened. Mix salsa and beans together in a large bowl. Cut biscuits into eighths and add to sauce. Mix in half of cheese, and all of ground beef mixture. Pour into greased 9×13 pan. Bake in a 400 degree oven for 20 minutes. Sprinkle with remaining cheese, and bake for 20 additional minutes. 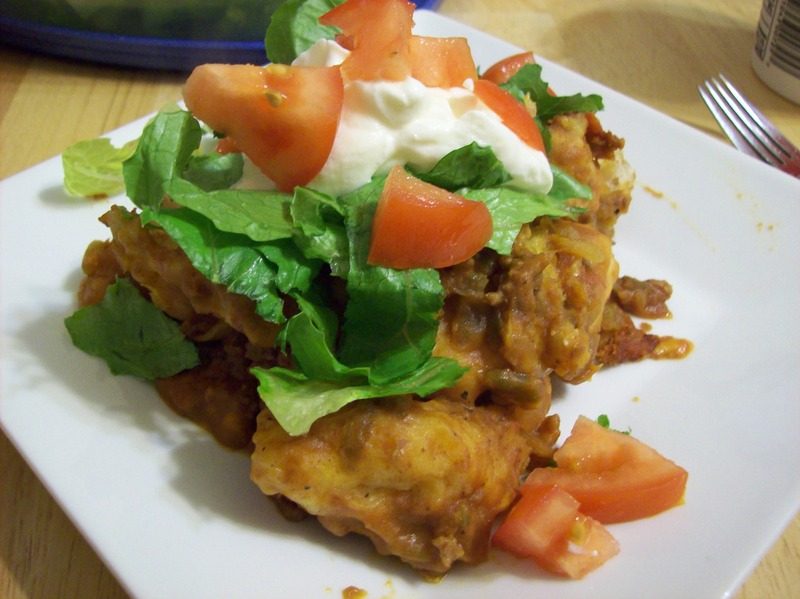 Serve with lettuce, tomato, and sour cream sprinkled on the top. One thing I forgot was taco chips, to truly be an authentic Casey’s Taco Bubble Pizza, taco flavored Dorito’s would make perfection. All in all this is a pretty mild dish. You could add a little more heat to the sauce with a spicier salsa than the one I used if you are into that sort of thing. Also, if you are using canned refried beans, you might need to season a little more. I used mine, and so they had quite a bit of flavor.